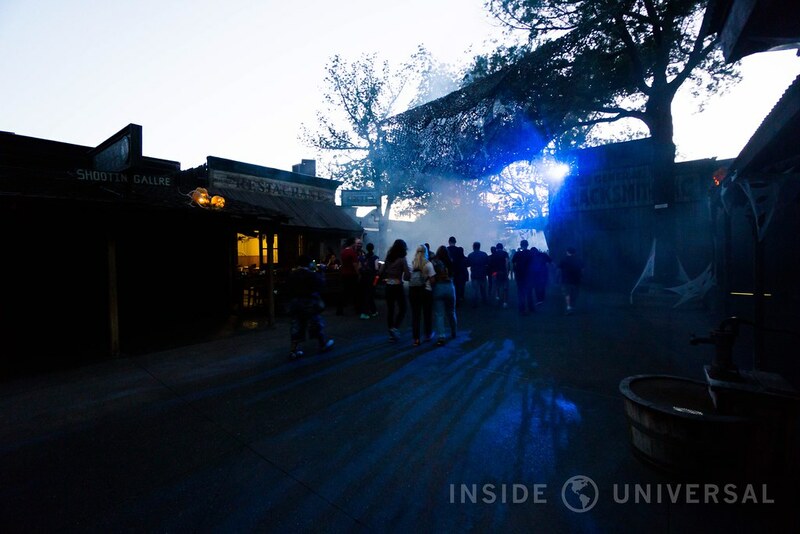 While we’ve exclusively covered Halloween Horror Nights at Universal Studios Hollywood for the last decade, Knott’s Berry Farm was gracious enough to invite us to their annual Halloween event. Known as the birthplace of the modern day haunt, Knott’s Scary Farm pioneered the framework of a Halloween maze, scare zone and nighttime show that could be incorporated as an overlay to the park’s existing infrastructure. It’s this lineage that allows Knott’s to command a fan base that remains uniquely committed to the park, as we’ve noted time and time again. These fans don’t simply just follow the park – they adore it, and it’s evident whenever the park holds a presser for their latest Halloween creations. Without spending too much on this, let’s just say that this energy is kinetic and unique to Knott’s, making it hard to replicate anywhere else in Southern California. 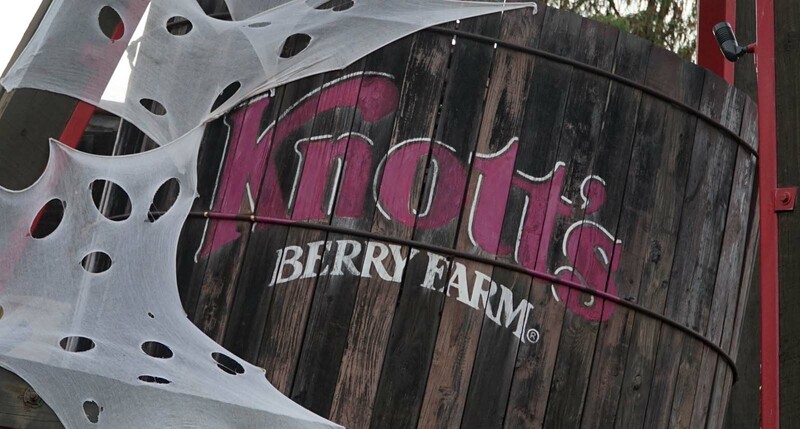 Indeed, it’s Knott’s Berry Farm’s intense familiarity with Halloween that makes Scary Farm the only credible competitor to Halloween Horror Nights. 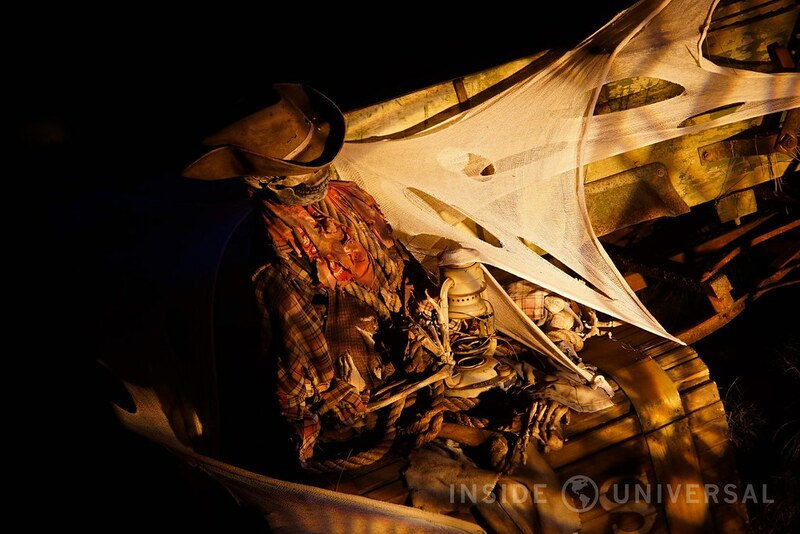 While we’re not horror aficionados like our friends across the web, we thought we’d take a look at Knott’s Scary Farm through the lens of a Universal-centric fan site. So without further ado, let’s take a look at what the farm has to offer. As you might imagine, Knott’s takes a different approach than their friends in Los Angeles. 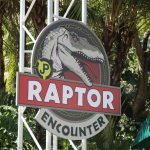 Instead of relying on historic intellectual properties and stars that have tremendous resonance with the public, Knott’s instead focuses on original in-house content that’s unique to the park, and – to a lesser extent – Cedar Fair. No, you won’t be able to experience your favorite scenes from The Exorcist or American Horror Story, but that’s not the point. 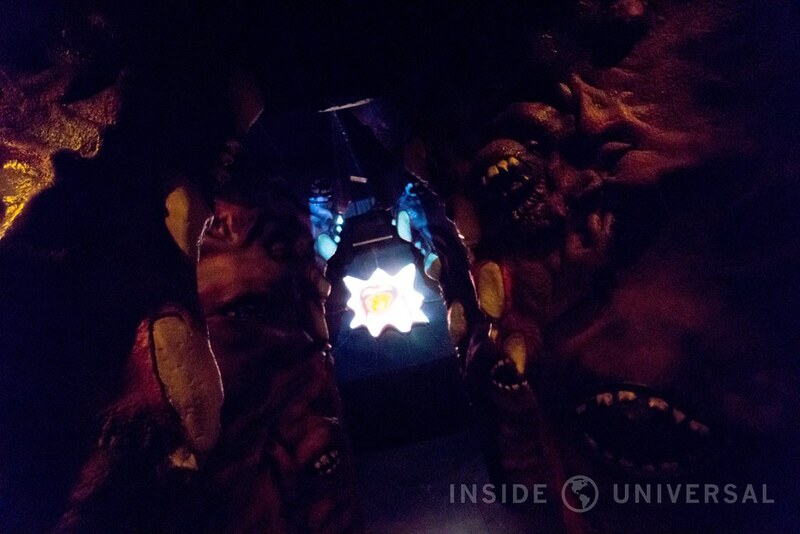 The mazes at Knott’s focus more on common folklore or universal fears rather than on blockbuster characters. 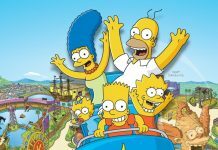 This focus allows Knott’s to do two things: avoid the overhead of licensing and recreating a franchise, and focus on new experiences that aren’t bound by scene-by-scene recreations. 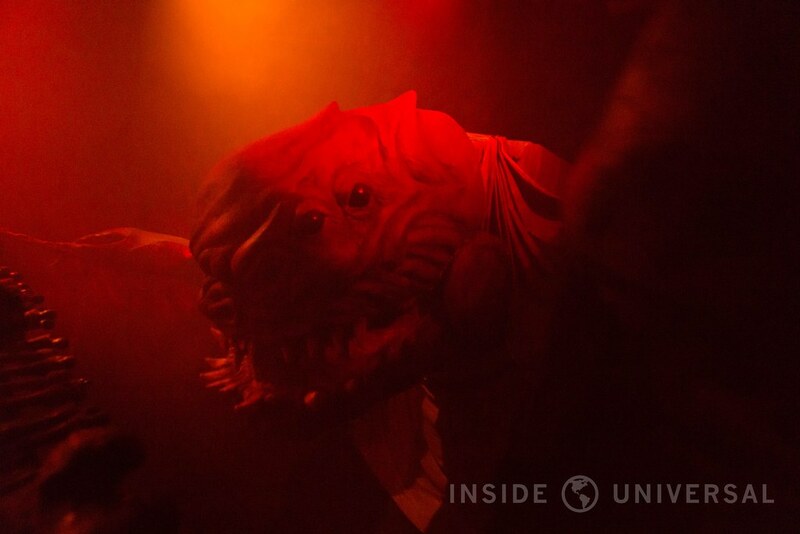 Of course, it’s also important to point out that the Knott’s event has a smaller budget than Halloween Horror Nights, but that doesn’t always act as a deterrent to their lineup despite what you may think. 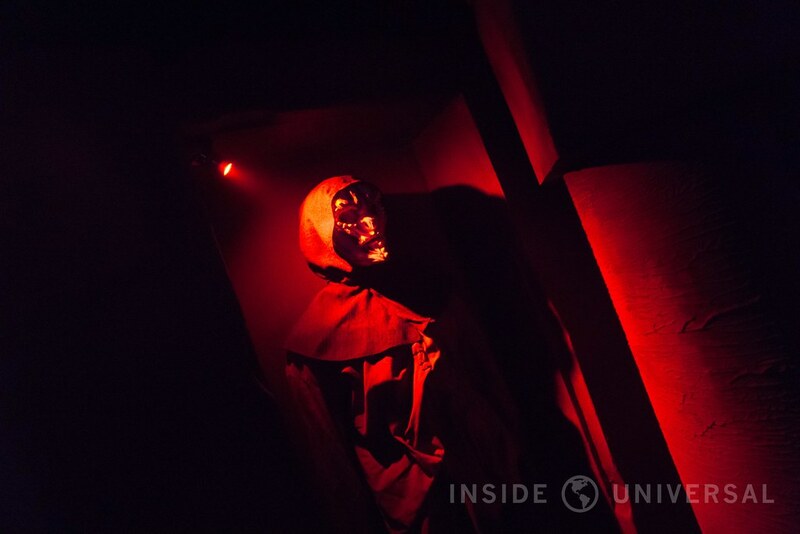 Speaking of lineup, this year’s experience includes nine mazes, along with four Skeleton Key rooms (think of a mix between the VIP Experience and a mini-haunt) and two shows. 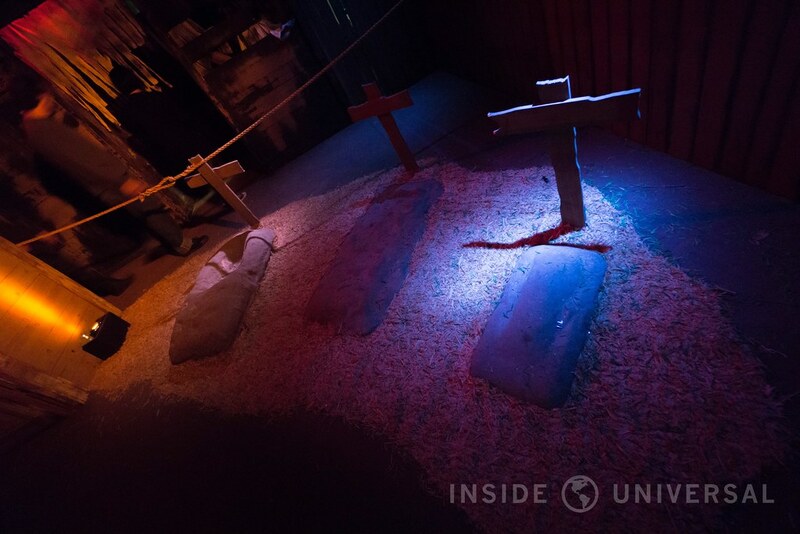 Unlike Universal, the lineup also includes repeat experiences from last year’s event (including The Gunslinger’s Grave, Tooth Fairy, Trick or Treat and Paranormal Inc.) along with some new inductees (such as Red Barn and Shadow Lands among others). If you’re expecting a completely new roster, you’ll surely be disappointed, but Knott’s has enough mazes (9 versus Universal’s 7) to buffer the repeats. 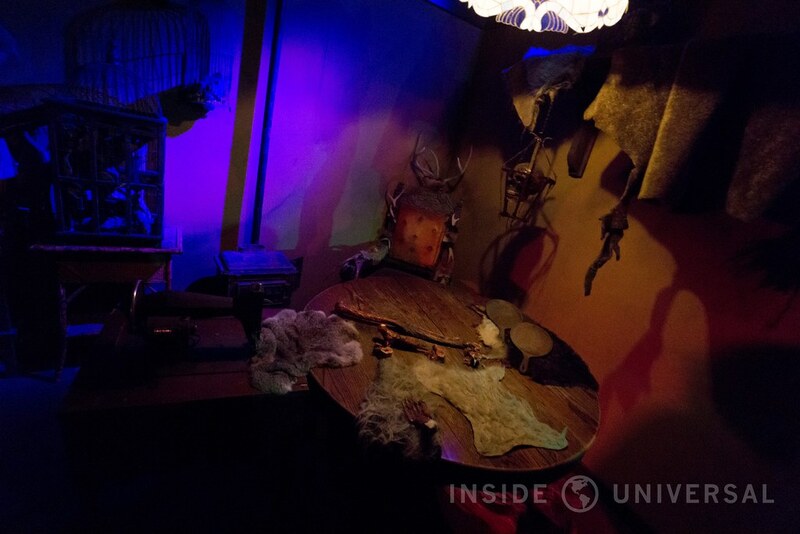 As for the logistics of the event, like Universal, Knott’s likes to cram their mazes in unused areas of the park. However, unlike Universal, Knott’s relies on non-illuminated cardboard signs to signify the entrance of a maze. Held by employees, these signs are sometimes obscured by the darkness of the night, and if you’re unfamiliar with the park, you’ll have difficulty locating them – especially key rooms if you choose to purchase Knott’s premiere Skeleton Key ticket. If the team and I had a major complaint about our visit overall, it’s that the mazes themselves are difficult to find unless you’re intimately familiar with the park. Despite having a map in hand, there are enough dead ends and ambiguity in the park to make navigation a daunting task. A bit of light would certainly help on this front. It’s also important to note that the event – as a whole – is usually less crowded than Halloween Horror Nights. Scary Farm’s relatively large roster allows the event to absorb enough people to keep wait times manageable throughout the night. 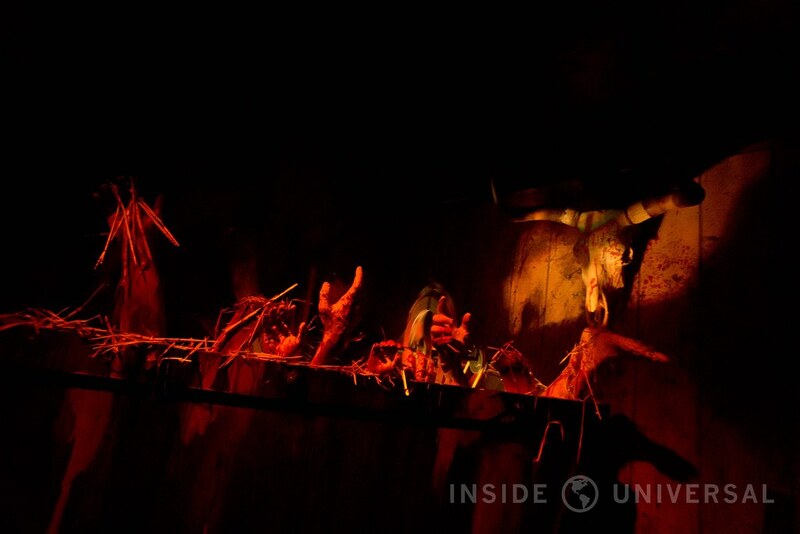 Yes, this year’s new inductees along with Special Ops: Infected will garner longer wait times than their repeat peers, but these queue times are nothing like Universal’s. As a whole, Knott’s Scary Farm is certainly a less stressful event to manage than Halloween Horror Nights, and that’s a significant plus. 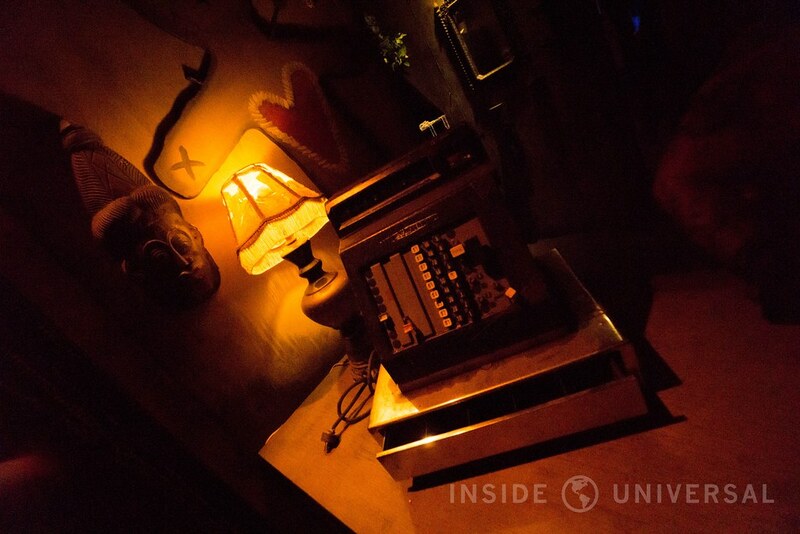 Anyway, let’s delve into the event itself with a breakdown of this year’s show (we only saw The Hanging) and mazes along with one Skeleton Key Room experience – Prey. 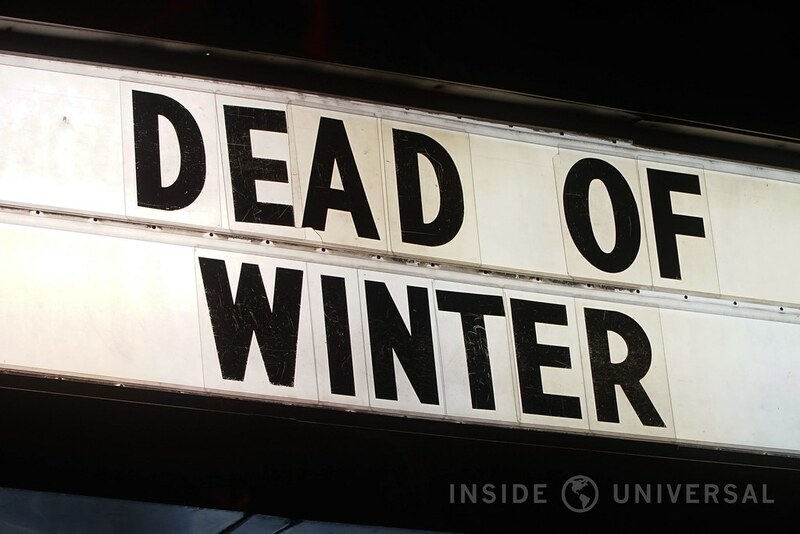 Based on the tale of wendigo (a mythical creature that resides in the frozen tundra), Wendigo’s Revenge acts as a continuation of last year’s premiere of The Dead of Winter, taking guests to the creature’s icy domain. If you’re unfamiliar with the tale like I was, you’ll just recognize this experience as an icy kingdom that houses a very unfriendly beast. However, despite the fascinating theme, the maze seemed a bit peculiar upon first glance. 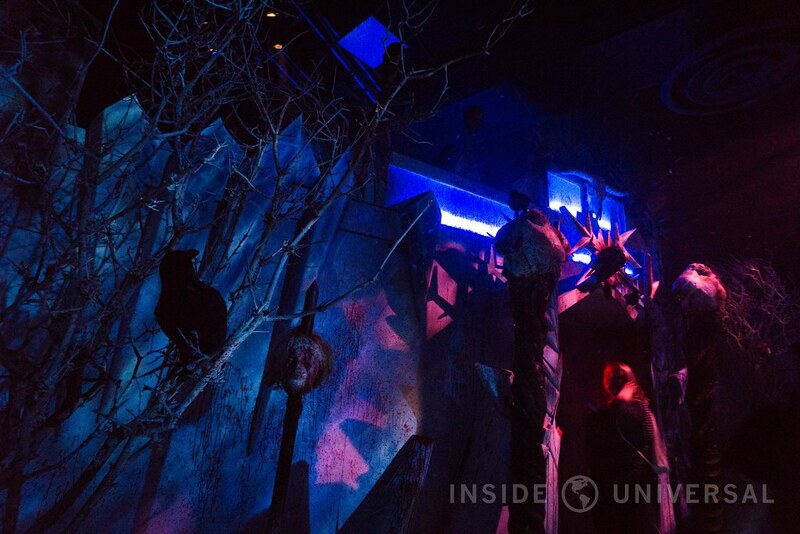 Like many other mazes at Knott’s, Wendigo’s Revenge doesn’t really feature a facade. 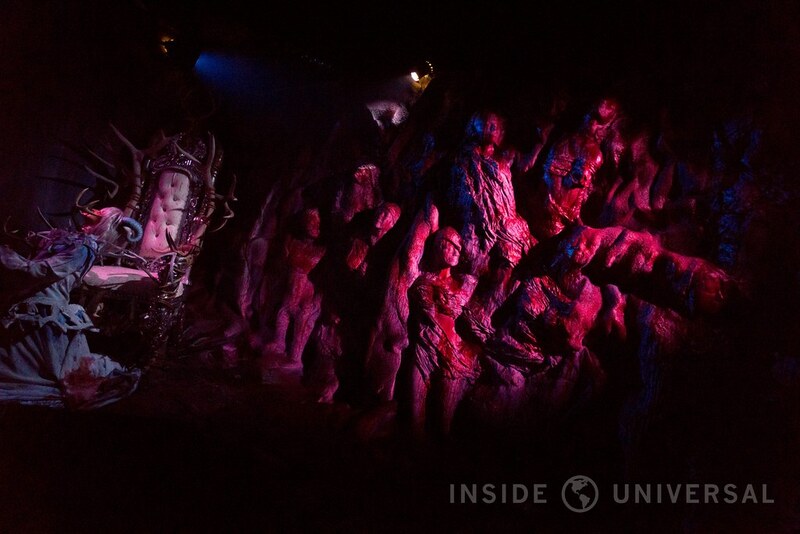 Guests enter a theater, and the maze suddenly comes to fruition as you walk down an illuminated corridor. 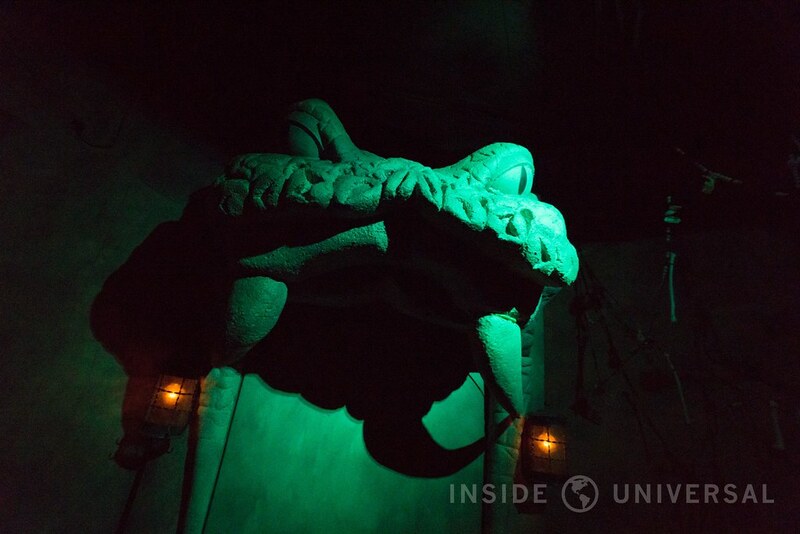 This isn’t a negative per say as long as the maze itself is strong, but it does assume that the guest has some semblance of what’s going to occur inside. There’s no facade or music to truly set the tone. 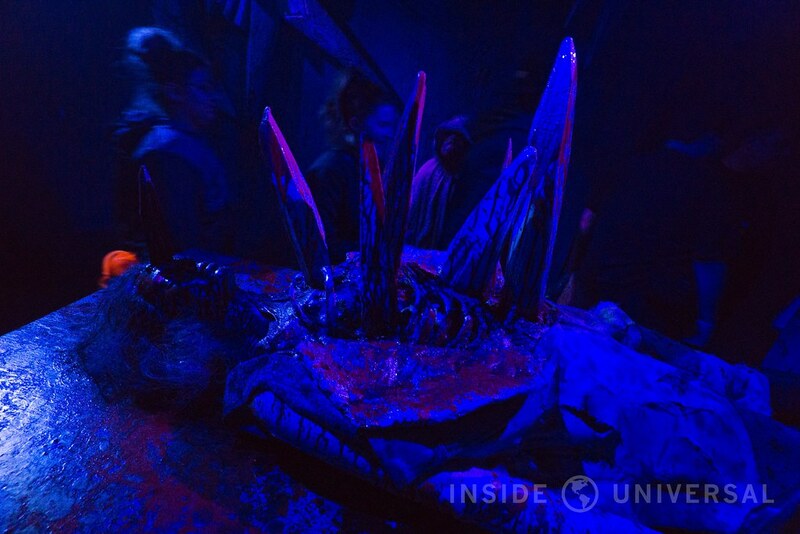 As for the maze itself, Wendigo features much of Scary Farm’s usual tricks: twisty paths, large animatronics and some neat lighting and video effects embedded underneath the floor. Wendigo’s highlight is easily its giant imposing animatronic snow monster which looks eerily similar to Marshmallow from Frozen. However, beyond the snow monster, Wendigo is simply a fine maze – nothing more, nothing less. I’m still perplexed as to what we’re exactly doing as we journey through what appears to be an icy forest, but the maze’s imagery is interesting enough to make Wendigo a worthwhile experience. It’s not the strongest maze on this year’s lineup, but it’s also not the weakest, placing it comfortably in the middle of this year’s event. 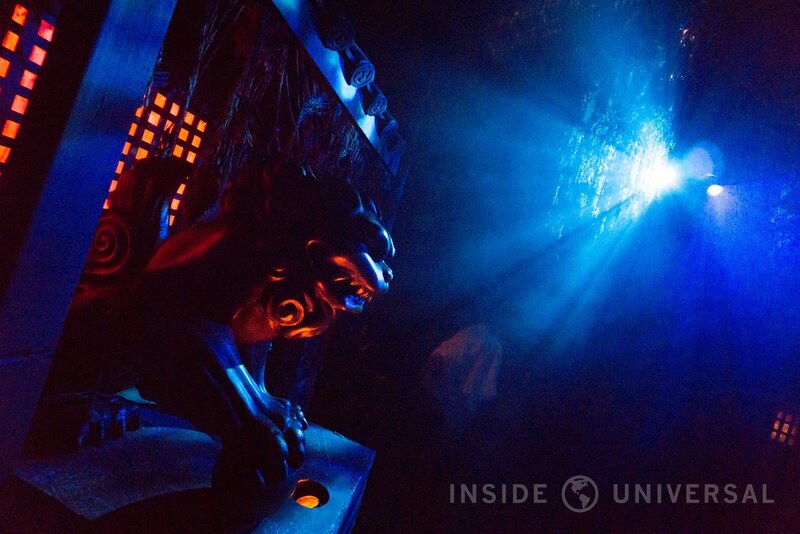 While Universal usually uses its actors to scare guests, they usually don’t utilize a large arsenal of staff to serve as bit players for their mazes. Knott’s, in contrast, feels comfortable filling their mazes with actors meant to supplement your experience by simply setting the mood. 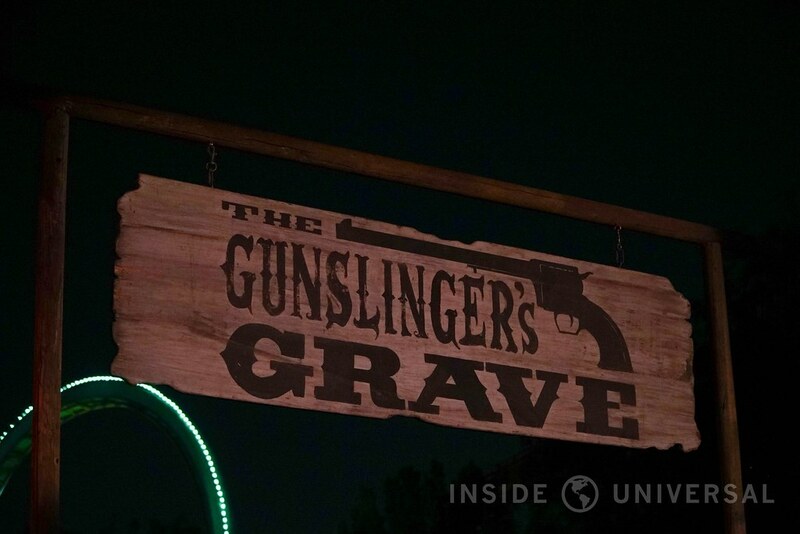 Along with traditional scare actors, Gunslinger’s Grave is filled with characters meant to simulate the lure of an old western town, either by playing the townspeople or by assuming the role of demented patrons at a bar haunted by the burial ground of disturbed spirits. 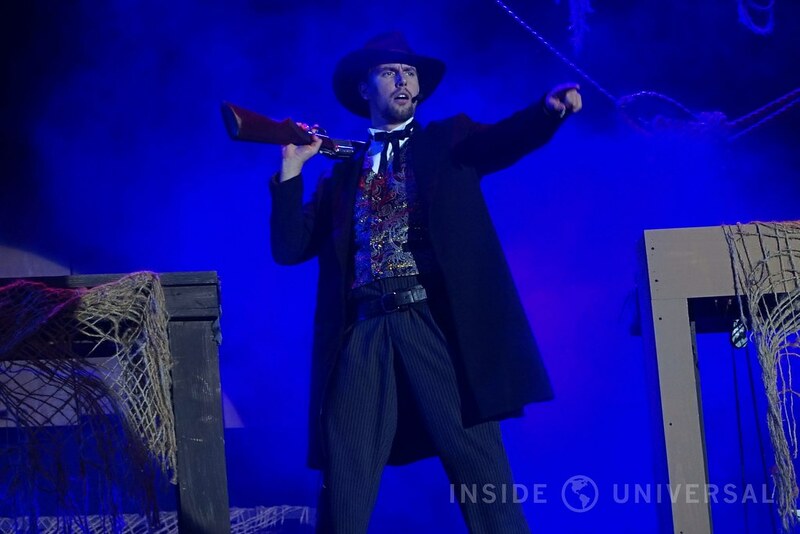 Not only do the townspeople serve as interactive elements of Gunslinger, but they also serve as your navigational compass, directing you to your next destination. These actors, coupled with the maze’s non-linear design, makes it appear as if you’re exploring a real-life recreation Six Points Texas on the Universal lot. 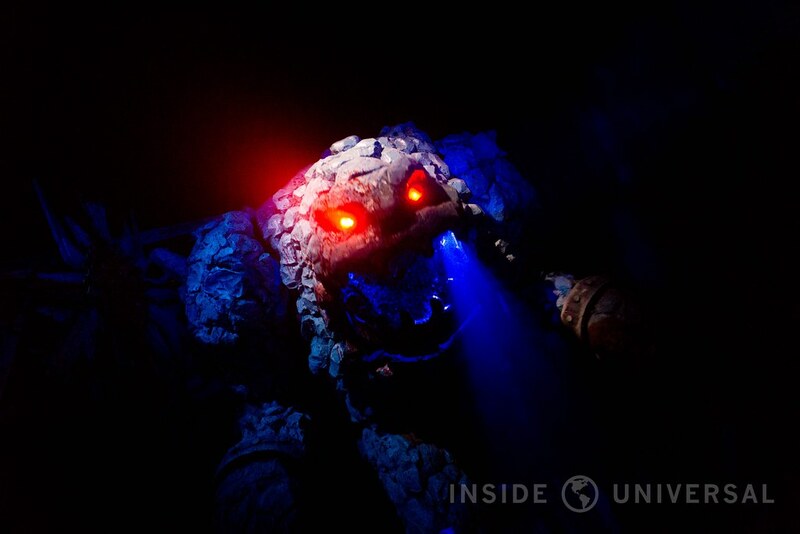 It’s an effective technique, and one that allows Knott’s Scary Farm to have a diverse lineup that’s not purely focused on boo-scares or faux doorways. Case in point, if you’ve never experienced an exploration maze before, we highly recommend giving Gunslinger a chance. There’s something charming about visiting the a demented version of the old west. Of course, we’d be remiss if we didn’t mention Paranormal Inc., one of the standout mazes from 2015. 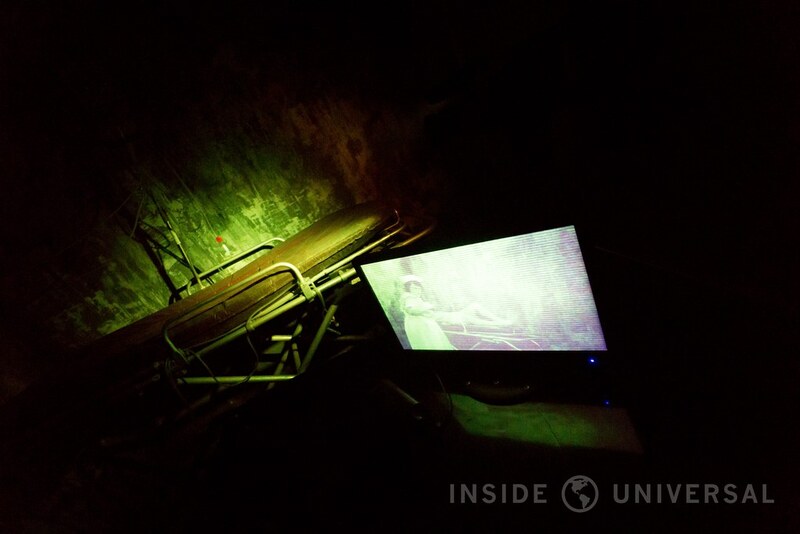 While most of Paranormal remains unchanged, that doesn’t stop the fact that this maze is one of Scary Farm’s most compelling and well-produced experiences to date, combining simple projection mapping effects, acrobatics and scares as guests explore the demonic spirits of the Hayden Hill Hospital. 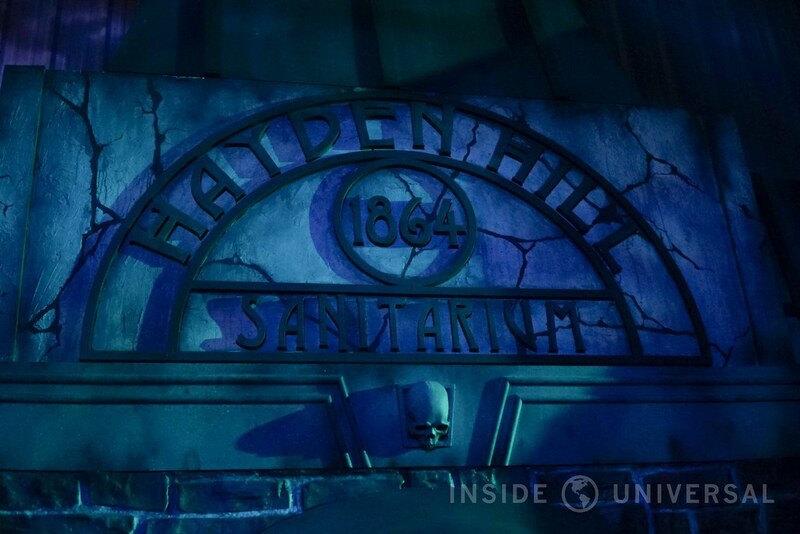 Set as a ghost hunters television show gone awry, guests are introduced to a recreation of Hayden Hill with a large elaborate façade and a – get this – short preshow to help set the mood. 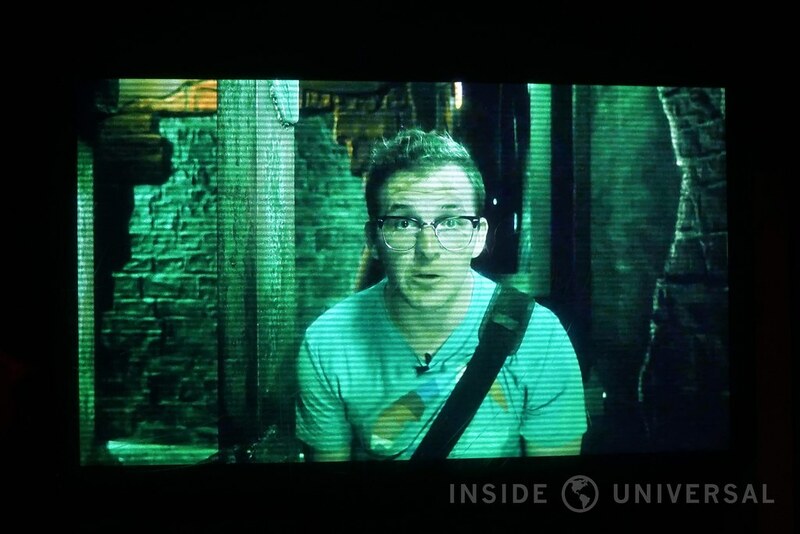 While the idea of a preshow in a maze seems foreign to this Horror Nights attendee, it works wonderfully to set the mood of a taping gone horribly, horribly wrong. Indeed, as you’re introduced to a live show of Paranormal Inc., live spirits suddenly burst into light as projections fill the room with crackles of paranormal bolts. 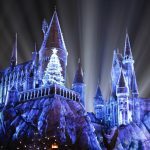 It’s a simple effect, but one that Universal has been seemingly reluctant to embrace at their event, relying more on monitors and simple projections rather than on full-blown mapping to transform an otherwise barren room into a flexible environment. While you might suspect that Knott’s will use this gag to death (like Universal did with the moving platform rushing towards guests), the park actually reserves projections for truly large and spread-out scenes rather than as an overused crutch throughout their event. 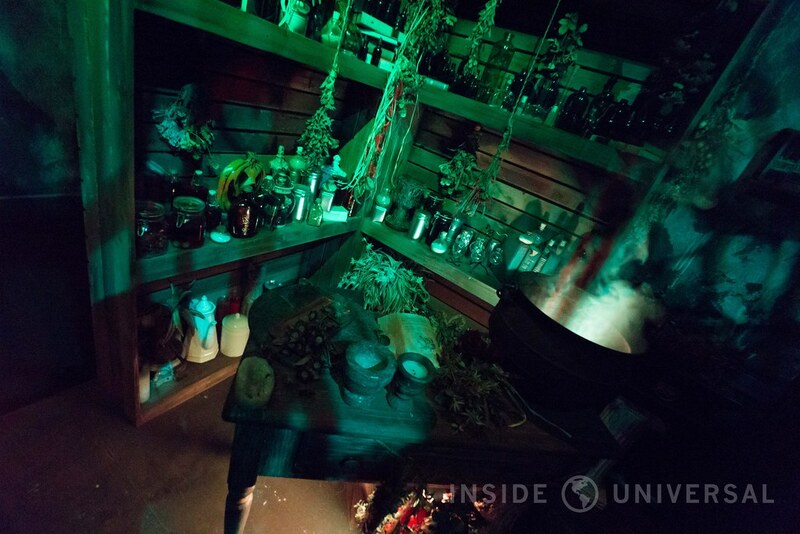 There’s a fine line between immersion and gimmick, and Knott’s seems to walk it perfectly in Paranormal. 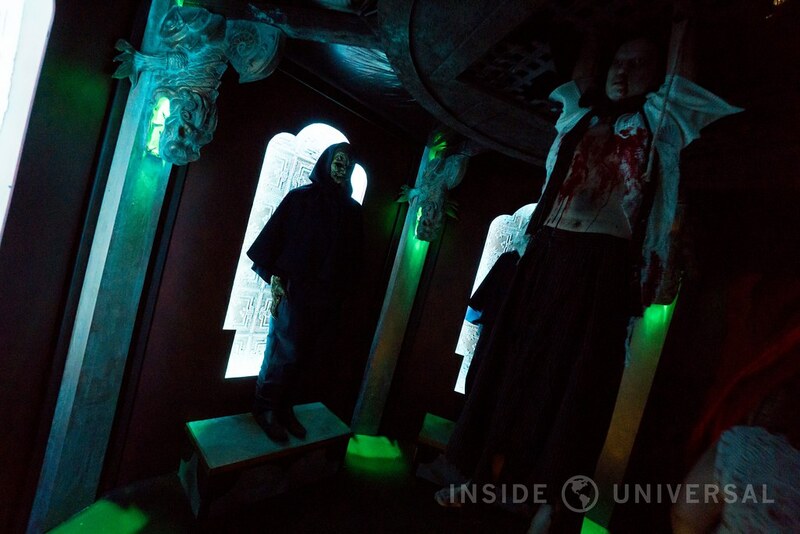 Of course, preshow aside (which is short and to the point), Paranormal combines acrobatics with large mechanical effects that make it reminiscent more of a high-budget Halloween Horror Nights experience than a traditional maze at Knott’s Berry Farm. This isn’t a knock on Knott’s, but there’s a definite sensibility that both events have developed after years of creating mazes. 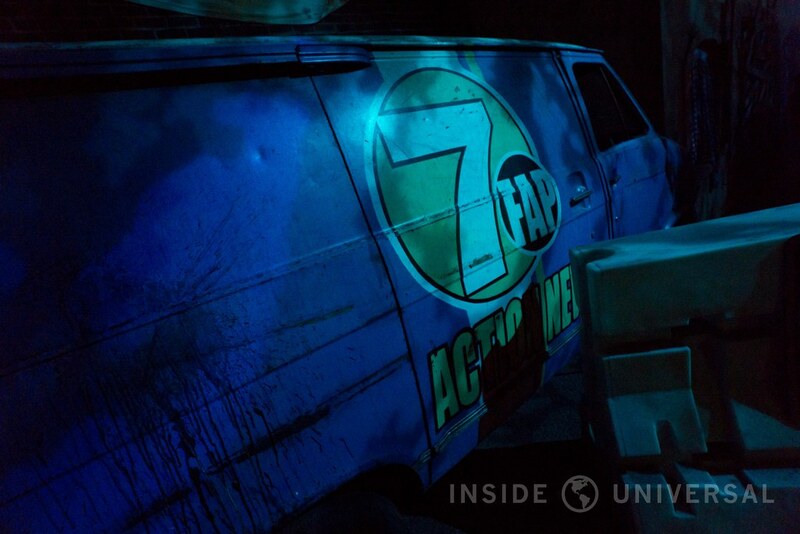 It’s interesting to see Scary Farm – whether intentional or not – cross into Universal’s realm of creating a high-budget, special effects-laden maze that appears to be based on a high-profile television show. Combine this with Knott’s penchant for stuffing their mazes with actors, twists and turns, and you easily have one of the most effective mazes at this year’s event. 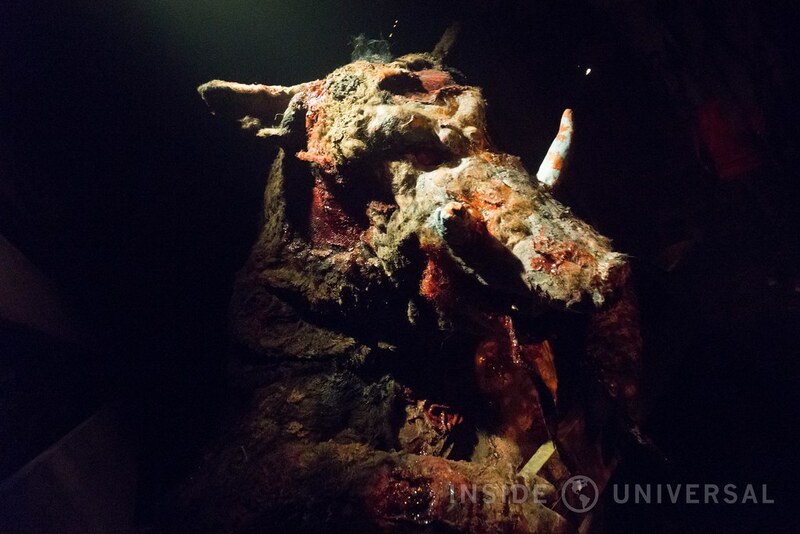 A new entry to Knott’s Scary Farm, The Red Barn transports guests to a barn filled with twisted animals determined to feast on human flesh. 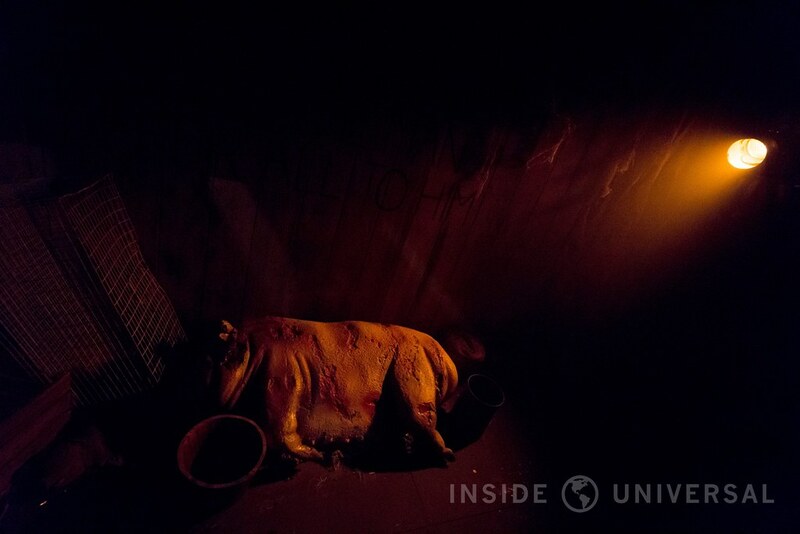 Like The Dead of Winter, Red Barn attempts to take a theme – in this case, a slaughterhouse for humans – in an effort to exploit it with a new demonic twist. 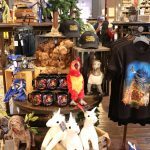 In contrast to Dead of Winter’s cold and wintery theme, Red Barn attempts to recreate the lush, warm feeling of a barn, with cages and mechanical animals scattered about with plenty of blasts of red lighting. 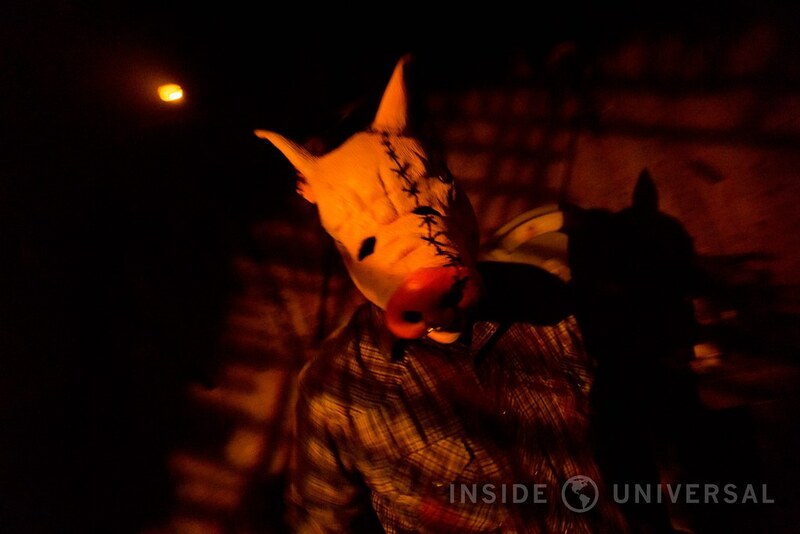 Like all Scary Farm mazes, scare and ambiance actors provide for plenty of substance throughout the experience, with the bulk of actors located in cages pleading for help. It’s a good gag, but one I’ve sworn I’ve seen at this event before. …and this sentiment sort of summarizes Red Barn as a whole. Despite being a new entry, much of the maze appeared to be a rehash of mazes from the past. Whether due to the maze’s weak theme or the actual prevalence of reused props I’m not exactly sure, but nothing exactly stood out in this otherwise bland experience. There’s no crescendo, no build up to a final spectacular scene. Rather, you’re simply traversing through a pathway with gruesome props and malicious animals. This makes for a gruesome experience, but not a very interesting one. Another new entry for 2016, Shadow Lands details the hellish confines of purgatory for samurais who have failed to bring honor to their families. 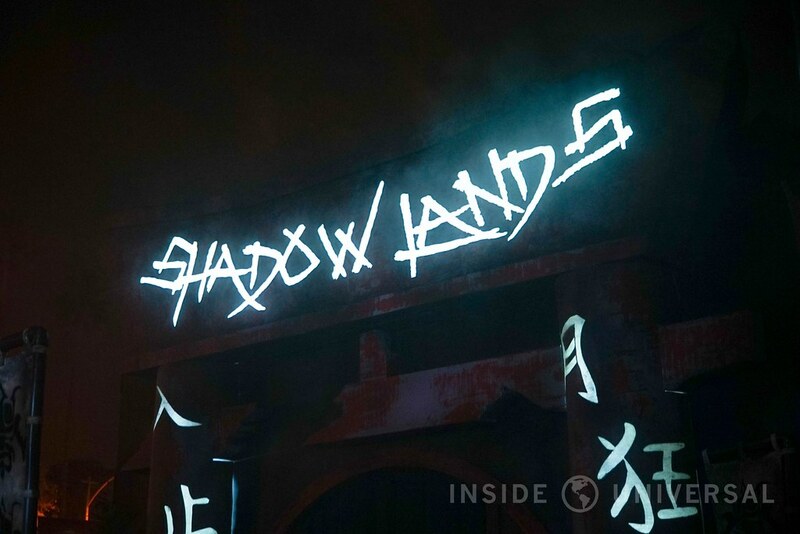 Seen as a continuation of Paranormal Inc.’s emphasis on storytelling and visuals, Shadow Lands may be the breakout maze of the year, recreating a Japanese temple as a scene for an endless massacre. While there’s nothing seemingly captivating about the maze from the onset, Shadow Lands’ wonderfully unique theme and effective storytelling allows us to explore the notion of honor, and the length that some go to reclaim it. 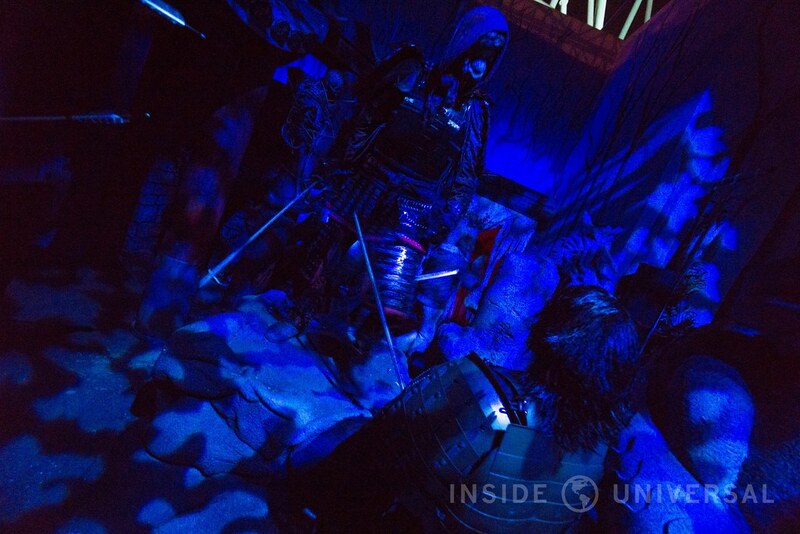 This isn’t just a gore maze along the same lines of The Texas Chainsaw Massacre, but one that attempts to spell out the journey of a samurai who attempts to escape from the shadow of dishonor. 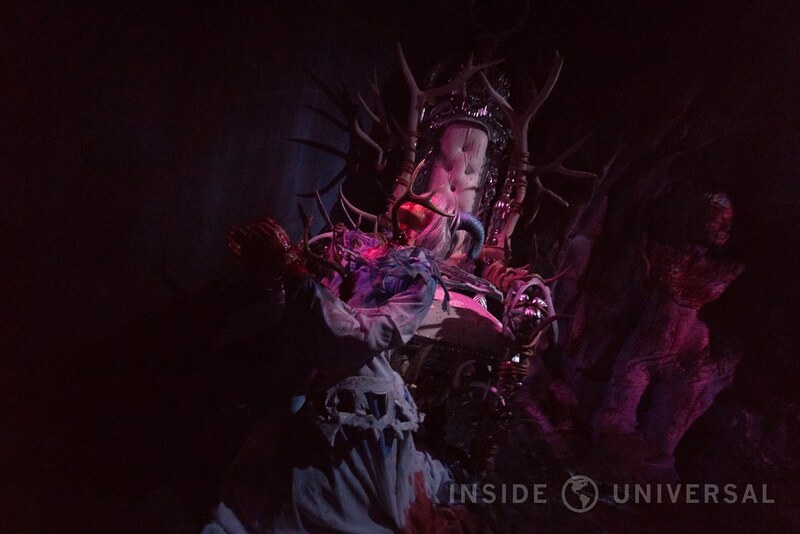 It’s a wonderfully compelling theme that almost seems like it comes out of left field, but one that actually works in Knott’s Scary Farm’s implementation. 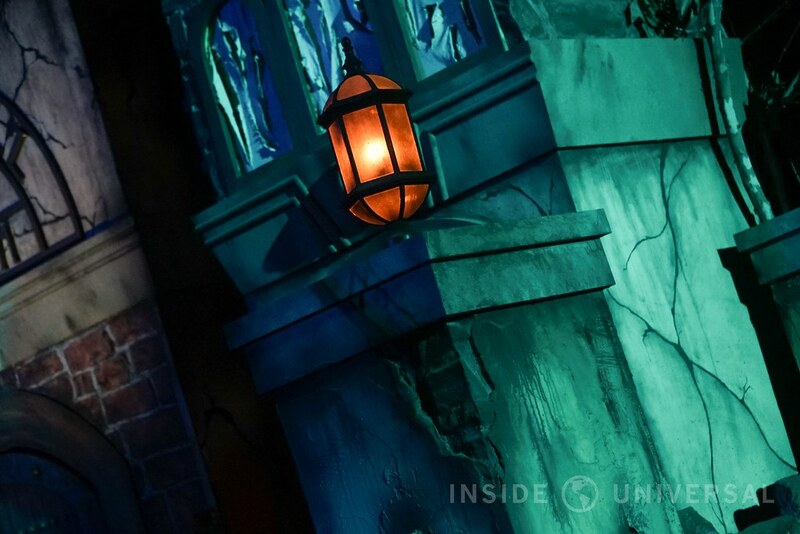 No, there’s no pizazz, but Shadow Lands’ excellent lighting package combined with frightful puppetry and compelling sets make this maze as equally captivating as some of Halloween Horror Nights’ best efforts, making it a must-see on your next visit to the farm. 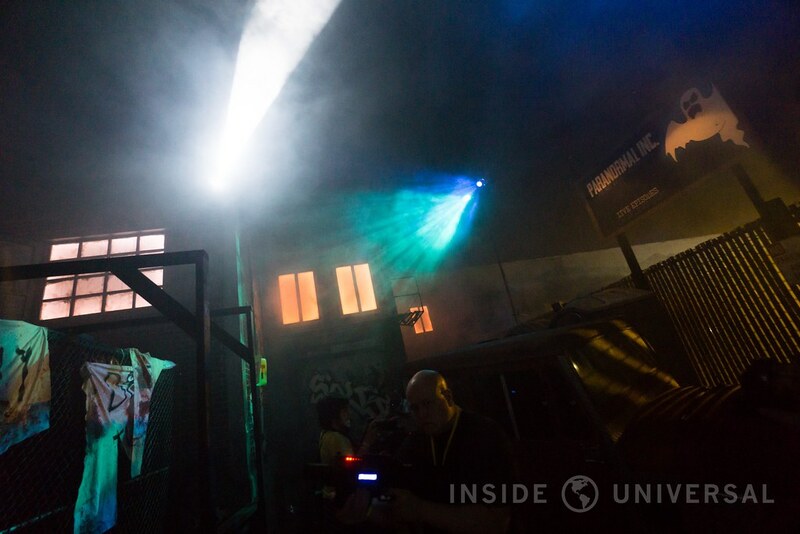 Designed as an interactive shooter, Special Ops: Infected can be best described as a mash up between a real-life video game and The Walking Dead Attraction in a spellbinding (and just plain fun) experience. The concept is relatively simple: with a shooter in hand, you’ll be running through a zombie-infested city with the goal of eradicating the enemy. Aim for the zombie’s head (or indicator device), and you’ll rack up points until you reach the end of the experience. 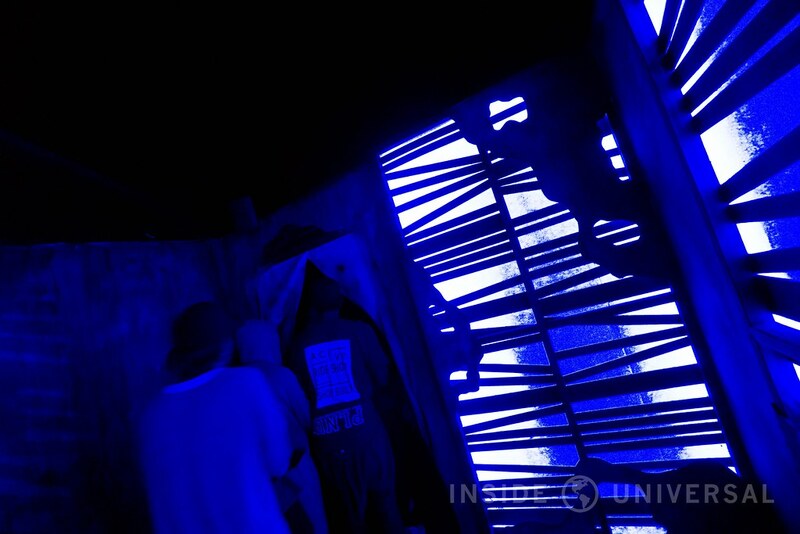 While you might be skeptical at the effectiveness of a glorified laser tag game in a Halloween event, I’ll admit: Special Ops is probably the most fun I’ve ever had in a maze. There’s something captivating about controlling your own outcome, and the ability to actually interact with the actors on a substantive level allows you to recreate the experience of gunning through a zombie apocalypse. You’re not just walking through a passive maze. Rather, you’ll have soldiers yelling at you to keep up with the next melee on the horizon. 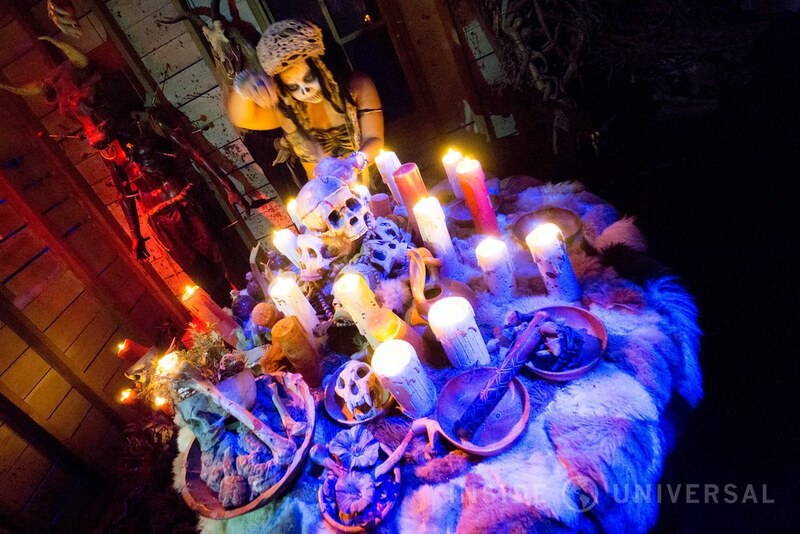 Being passive is simply not an option in Special Ops, and the active nature of this maze forces you to retool your expectations of what to expect at a Halloween event. In addition, the set pieces and scenes for Special Ops are large and expansive much to my surprise. In contrast to other Scary Farm mazes, Special Ops features large outdoor sets bolstered by innate indoor recreations of a subway train and an abandoned chemical factory. 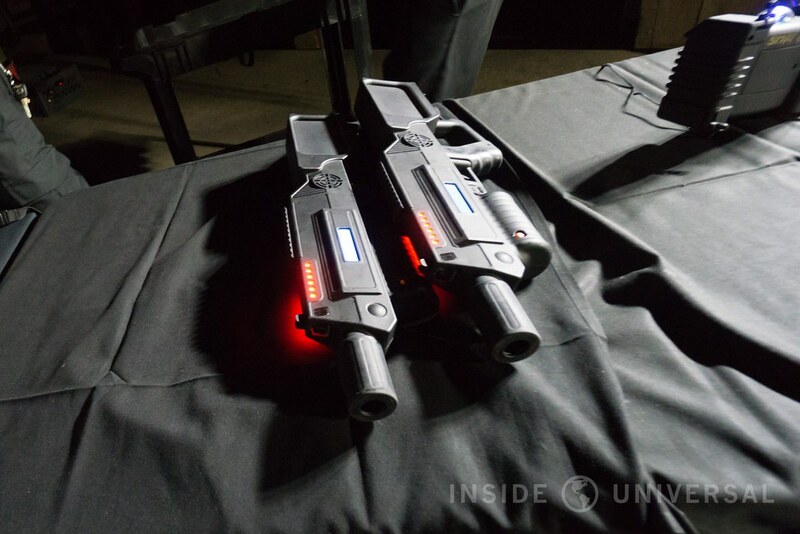 Imagine if Universal allowed you to play laser tag on its metropolitan sets and you’ll have one scene from Special Ops. This is an impressive experience, and one I wish Universal would consider for their lackluster overlay of The Walking Dead Attraction. 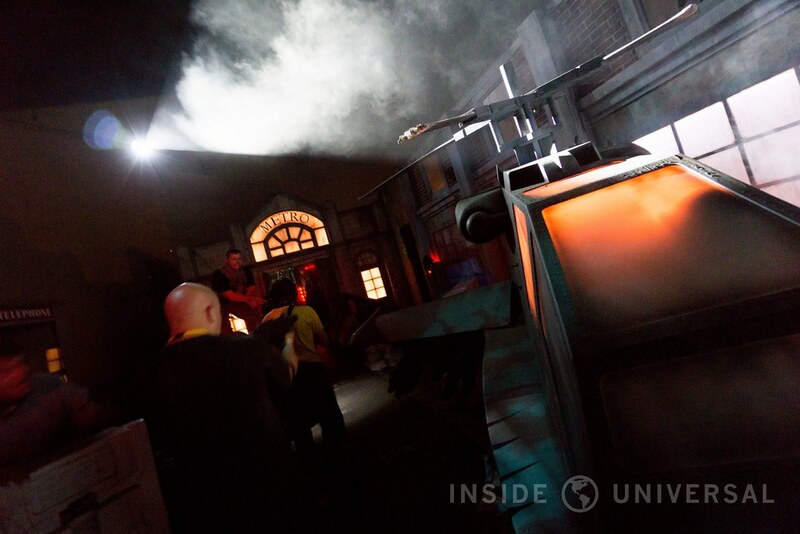 Arm guests with shooters, and have the ability to interact with walkers on a large scale – it’s just plain fun. 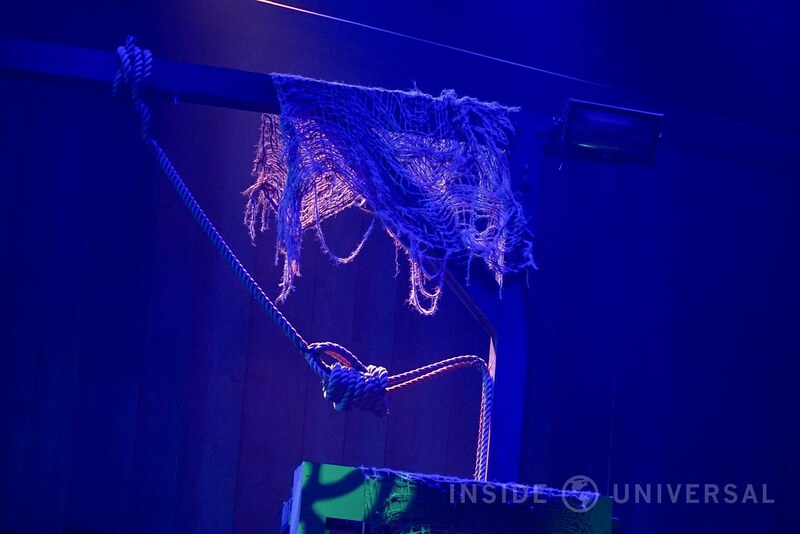 In the meantime, Knott’s certainly delivers this high level of interactivity in spades, and I’d be curious to see how they develop Special Ops in successive runs. If I had one nag, I’d love to have the ability to see my score relative to other players on my team, but that’s a small blemish on an otherwise original and compelling experience. 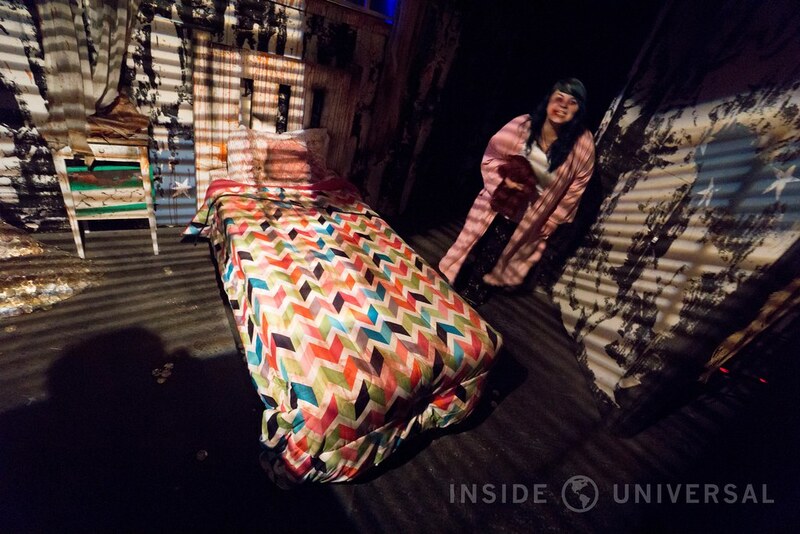 Making its third consecutive appearance at Knott’s Scary Farm, The Tooth Fairy is among the farm’s more gruesome and graphic experiences, exploiting everyone’s longstanding fear of going to the dentist. Indeed, despite its age, The Tooth Fairy still manages to provide one of the more intense experiences on this year’s roster. 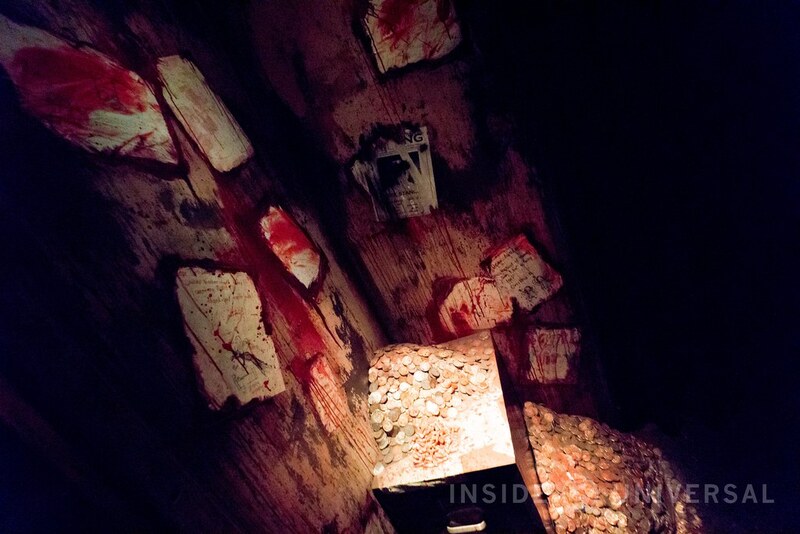 Whether that’s due to the gruesome piles of bloodied teeth or the imagery of human mouths ripped open in gruesome fashion, The Tooth Fairy is still surprisingly gory even by Horror Nights standards. In hindsight, using the theme of a dentist was a stroke of genius, and I hope Knott’s pursues more original mazes of this caliber rather than something as muted as The Red Barn. Like Shadow Lands, this one’s a must if you’re looking to experience Scary Farm’s more graphic side. As the oldest maze on this year’s roster, Trick or Treat returns to Knott’s Scary Farm for a fifth year. While the basic theme revolves around a witch’s home, I couldn’t help but draw a theory that this was Knott’s take of a walk-through version of Disneyland’s Haunted Mansion. It’s a compelling theme, and one that translates well in person. 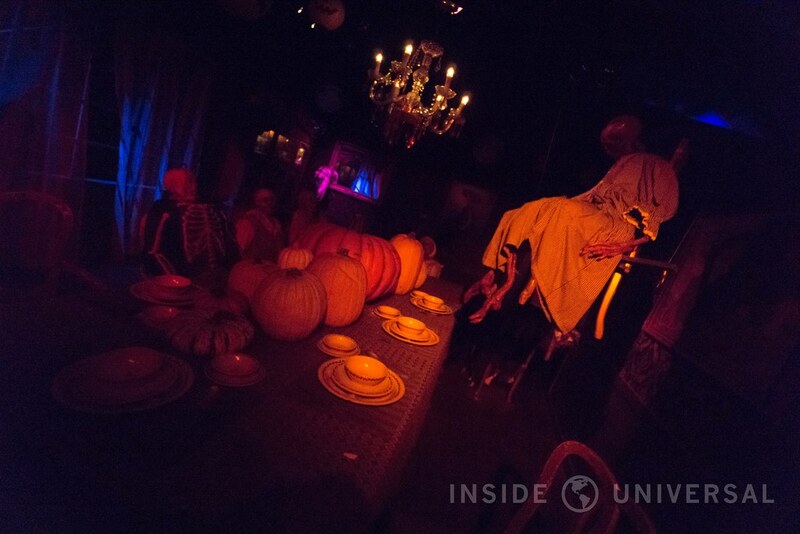 With floating victims and a dinner table filled with skeletal guests, this maze screams classic Knott’s. With that being said, it may be time to replace Trick or Treat with something more compelling. Five years is a long run for any maze, and even with a redesign or two, it’s probably time to move on. Another repeat maze, Voodoo takes place in the murky swamps of New Orleans as guests wander through the houses of demented souls. 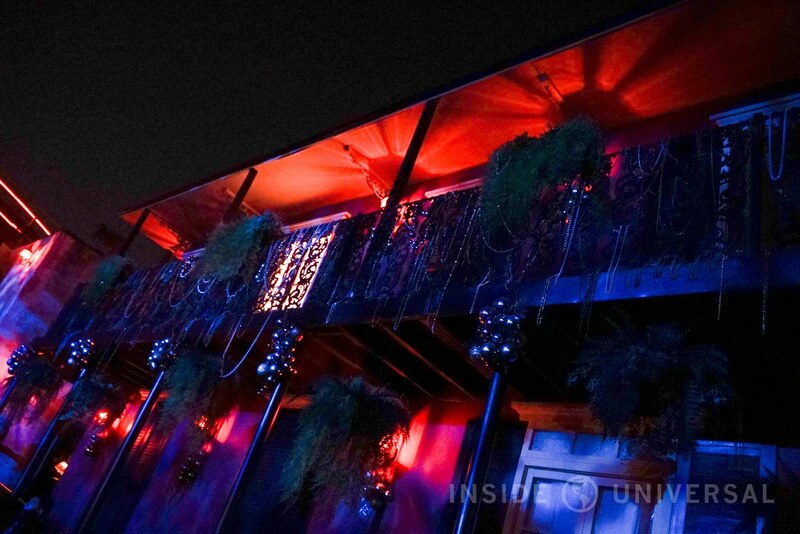 While the maze is among Scary Farm’s older experiences (now running in its third year), Voodoo still manages to excite with a wonderfully alluring New Orleans theme. 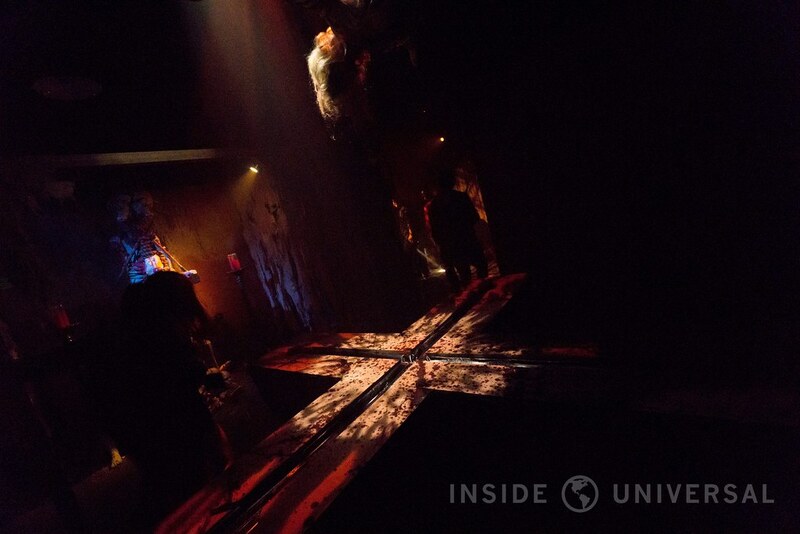 Though not particularly scary or intense, long-time fans of Horror Nights will appreciate Voodoo’s long length and varied set pieces. 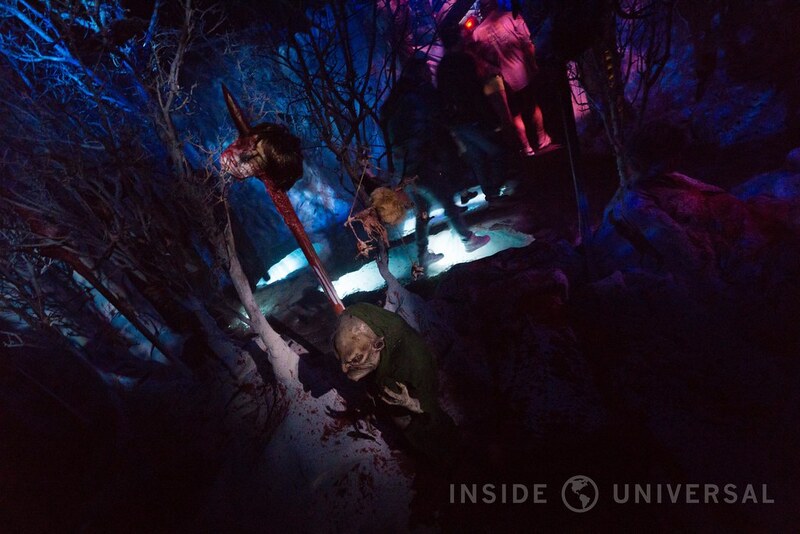 In fact, you even have the choice of selecting your own path – almost unheard of in a Horror Nights maze. A combination of stunts and pop culture references, The Hanging is Knott’s annual Halloween show that’s akin to Bill & Ted. While I’ve seen The Hanging in the past and often viewed the production as shaky and incohesive, this year’s show seemed especially rocky. While Knott’s touted this show as an homage to “Finding Gory: Just Keep Killing,” no references were made to Disney’s lovable blue tang fish. Instead, the show featured brief skits tied together in a 30-minute production. 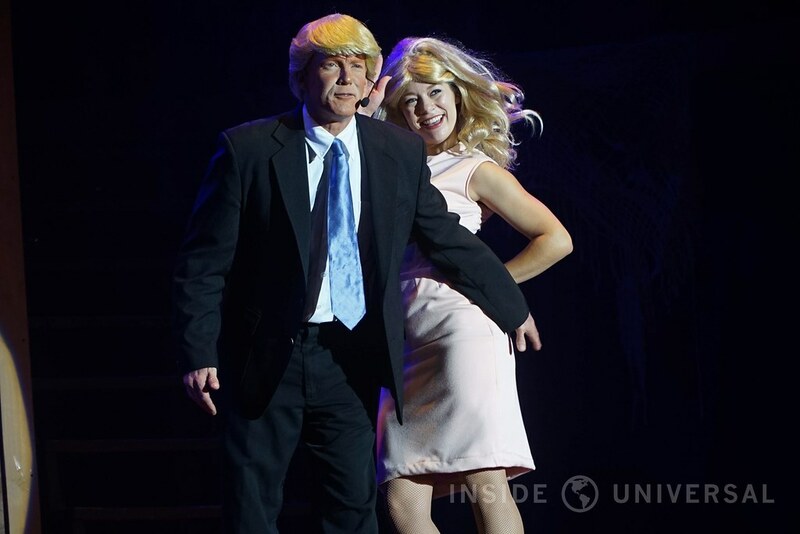 While that may be fine for a television show like Saturday Night Live which has the luxury of commercial breaks, there usually needs to be a central theme – however loose – to make a live stage show comprehensible to most guests. Bill & Ted was never known for having a strong plot, but it usually featured a singular villain and an easy-to-follow goal for the main protagonists. I’m not looking for writing that’s comparable to Victor Hugo, but I am looking for some semblance of cohesion so I can follow along without much strain. Bonus points if the show can also retain its comedy along the way. Unfortunately, The Hanging is neither funny nor cohesive, making for an incredibly poor show. While The Hanging made use of Donald Trump, this year’s production didn’t seem to focus on the obvious presidential race and the intense rivalry between the Democratic and Republican nominees, instead focusing on a mismatch of random pop culture memes and phenomena. If anything, The Hanging reminded me of a series of YouTube viral hits played in successive order. While they may work on their own individual terms, when viewed together, the mash up of clips make for a frustrating – if not tiring – experience. Whenever Bill & Ted would fall into this inevitable trap, it often made the use of spectacular choreography and lighting to keep guests entertained. Sure, you could say Bill & Ted was poorly written at times, but you could at least concede that the show featured excellent production values for an otherwise temporary run. Despite being hosted on a new stage with new equipment, The Hanging, again, seemed to lack the pizazz and glitzy glamor necessary to lure viewers in whenever its writing would falter. I’m a self-professed sucker for flashy lights and monstrous sound, but The Hanging featured neither enough for me to remain captivated throughout the show. This year’s new stage is certainly an improvement from 2015, but this year’s lackluster writing sunk the entire production down. In the end, this year’s hanging seems to scream last-minute rewrite. 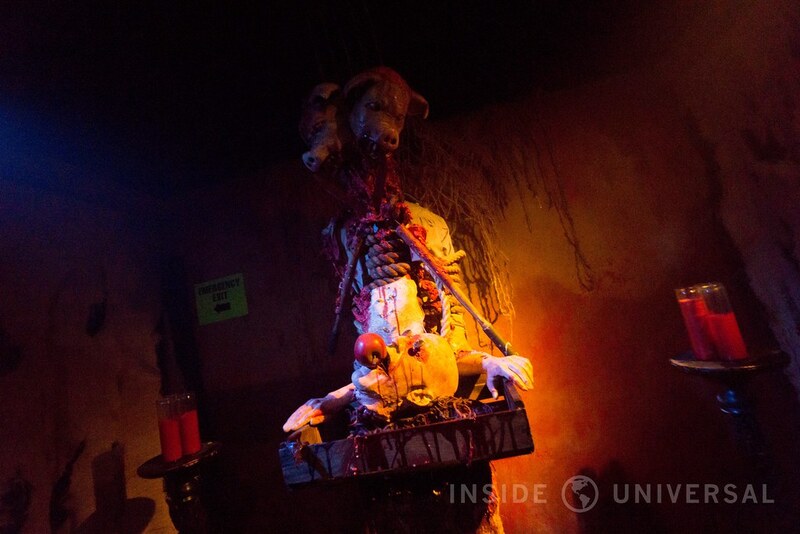 Finding Gory still remains an elusive element in the show, and I’m still puzzled at the connection between Disney’s franchise and this year’s hanging. 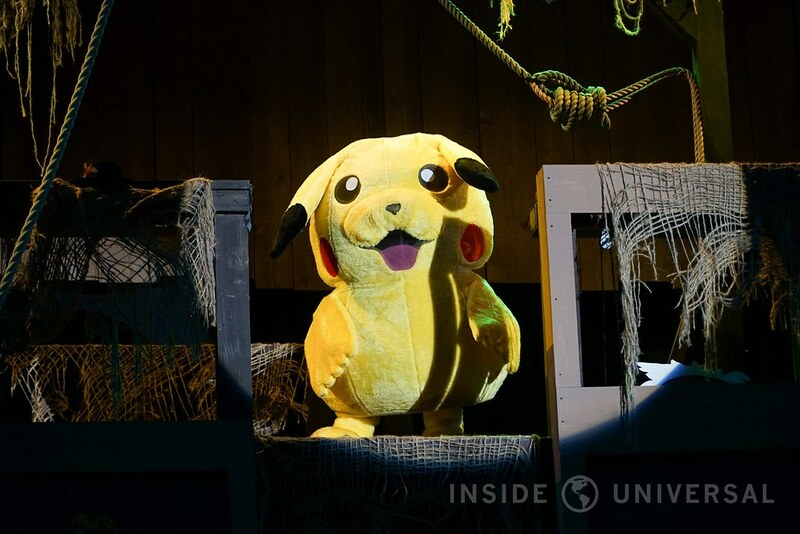 Perhaps Disney sent a quiet nudge to Knott’s to erase any connection between the family friendly character and The Hanging’s overt adult themes, and perhaps this is the reason for the show’s disjointed nature. Whatever the cause, this year’s production simply didn’t work and that’s disappointing to say. 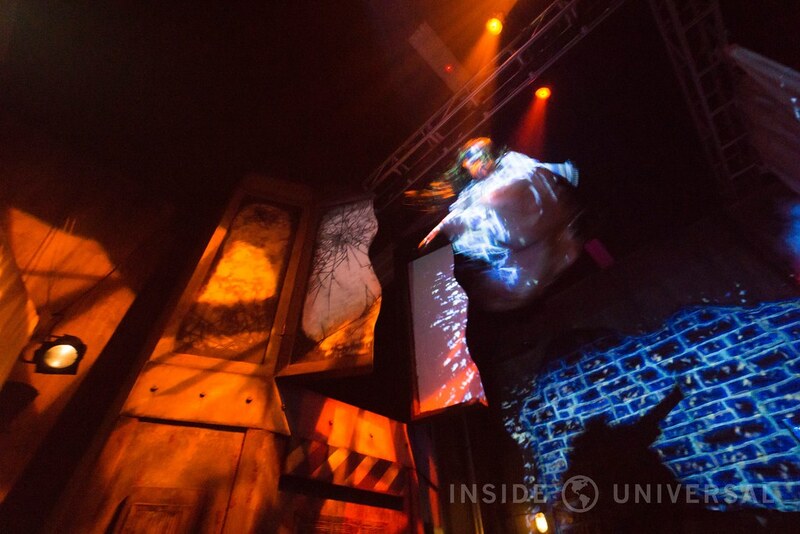 A concept unique to Knott’s Scary Farm, Skeleton Key Rooms act as an exclusive extension to the main event. 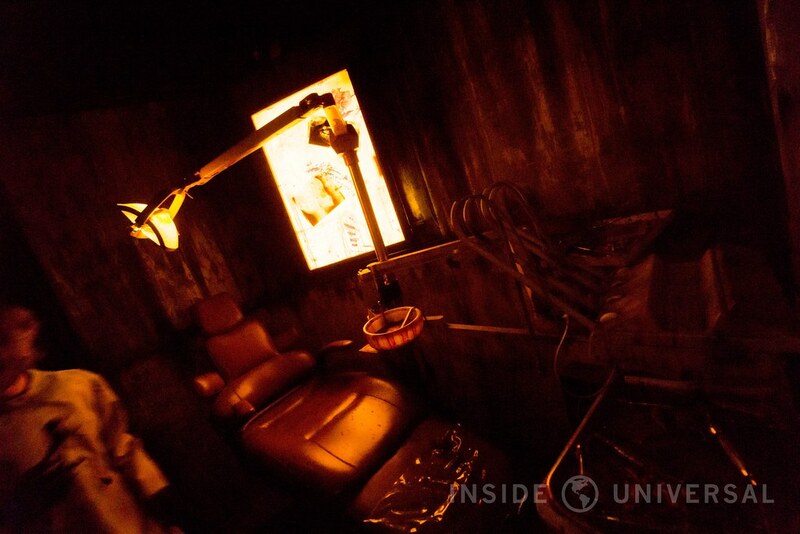 Think of it as a combination of the VIP Experience at Halloween Horror Nights with the added benefit of experiencing small, intimate environments exclusive to Skeleton Key holders. While capacity for these Skeleton Key rooms was an issue throughout our visit, we were able to experience Prey (a dark hay maze that arms its guests with a faulty lantern). With only small groups let it at a time, we ran through a maze filled with monsters lurking about, frequently hitting dead ends and cowering underneath tunnels. While much smaller and shorter than we had originally imagined (the latter of which was due to an editor of this website that will remain unnamed), Prey was nevertheless a fun experience that was supported by a pair of excellent character actors portraying the role of demented farmers waging a bet on who would survive: the humans or the beasts. 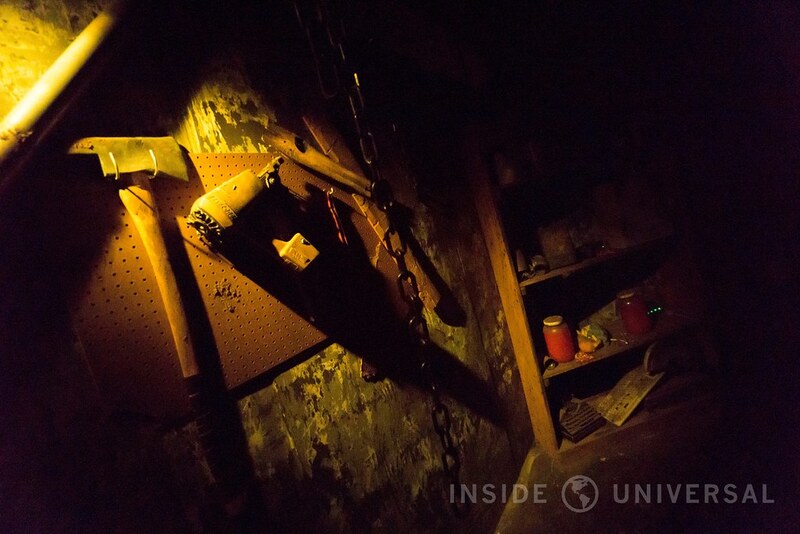 It’s not a complex or groundbreaking attraction by any means, but Prey – and experiences like it – managed to add another layer of interactivity and exclusivity that make holding a Skeleton Key pass a compelling option. Halloween Horror Nights will likely never add an experience like this due to capacity concerns, but it’s great to see Knott’s giving it a try. 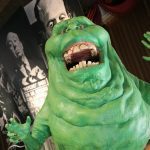 If Halloween Horror Nights could be classified as a blockbuster-churning machine, then Knott’s Scary Farm can be seen as a production art house that has the ability to punch well above its class despite its lower budget. 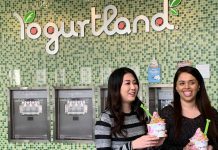 Universal, long known for transforming huge franchises into living experiences, follows a standard format that usually garners resounding success, but has the tendency to follow a repetitive format. 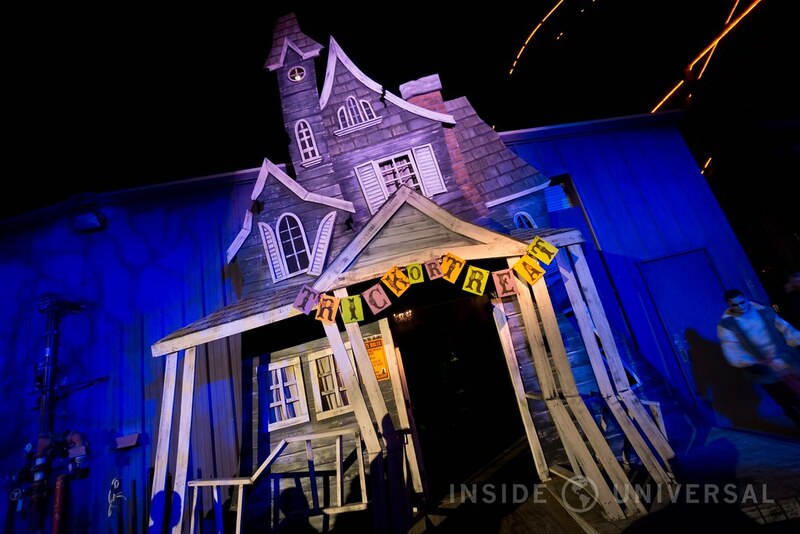 On the other hand, Knott’s has a spectacular ability to push the boundaries of what a Halloween event should offer. 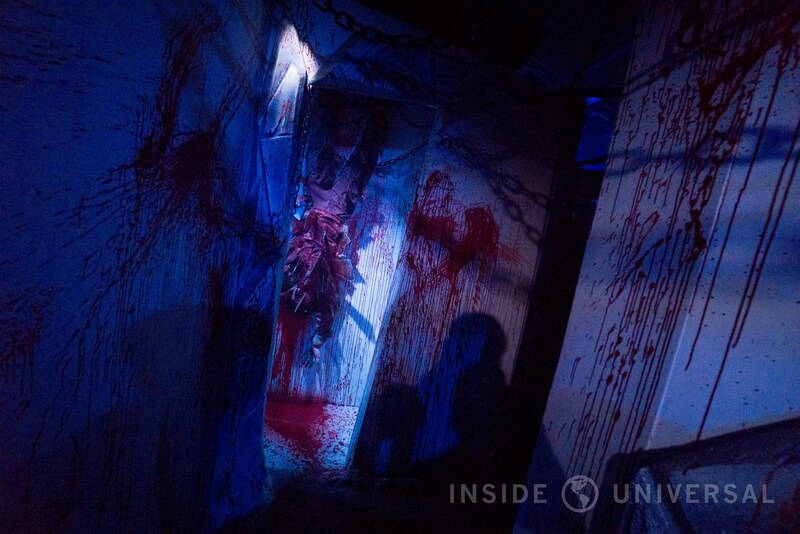 While not always successful, it’s exciting to see Knott’s try to incorporate new and artful concepts like Paranormal Inc., Special Ops: Infected, and mini-experiences like Prey into their event. 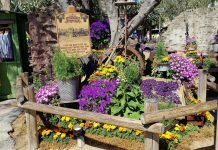 Of course, this experimentation also comes at a cost, and without the ability to leverage well-known brands or properties, Knott’s is forced to reuse existing concepts years at a time to maintain their budget (such as the fifth consecutive use of Trick or Treat). To continue this art-house/blockbuster anology, it also means that Scary Farm’s creative output is more experimental, but less consistent compared to Universal. 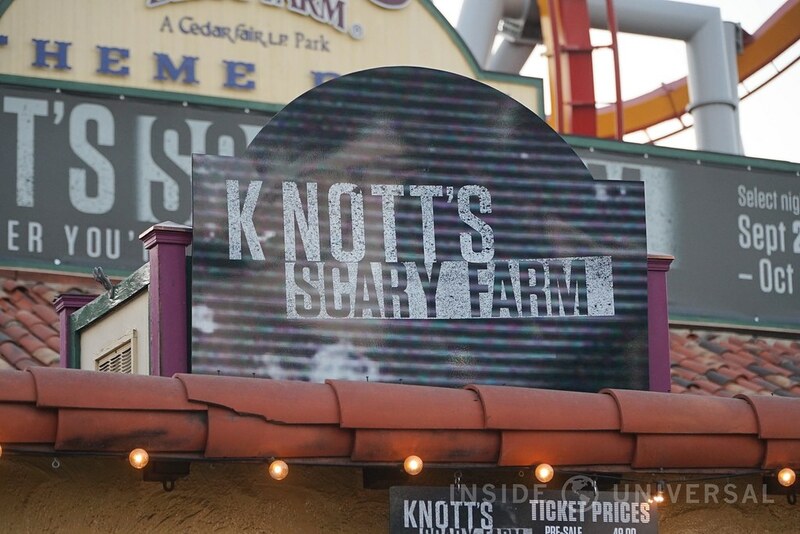 While mazes like Shadow Lands and The Tooth Fairy show that Knott’s has an uncanny ability to leverage everyday concepts and ideas to frightful new levels, it also means that the company has the ability to go awry (such as the case of The Red Barn and The Hanging). When a concept does go wrong, the company doesn’t have the ability to fall back on spectacle to keep guests entertained. 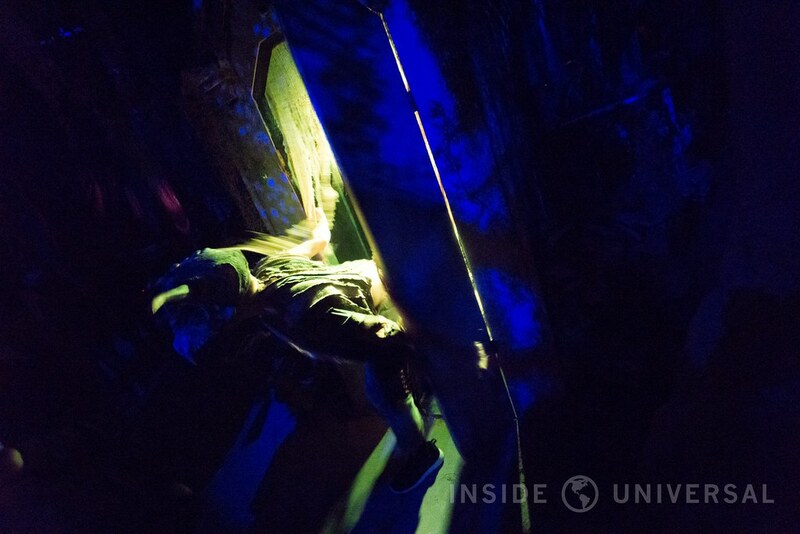 It’s the story and concept alone that usually keeps a Knott’s Scary Farm experience alive. Nevertheless, one thing’s for certain: both events excel in their respective class, and I’d argue you need both to have a healthy horror diet. Halloween Horror Nights fans have long clamored for non-commercial mazes and in-house content, and to that, I say go to Knott’s. 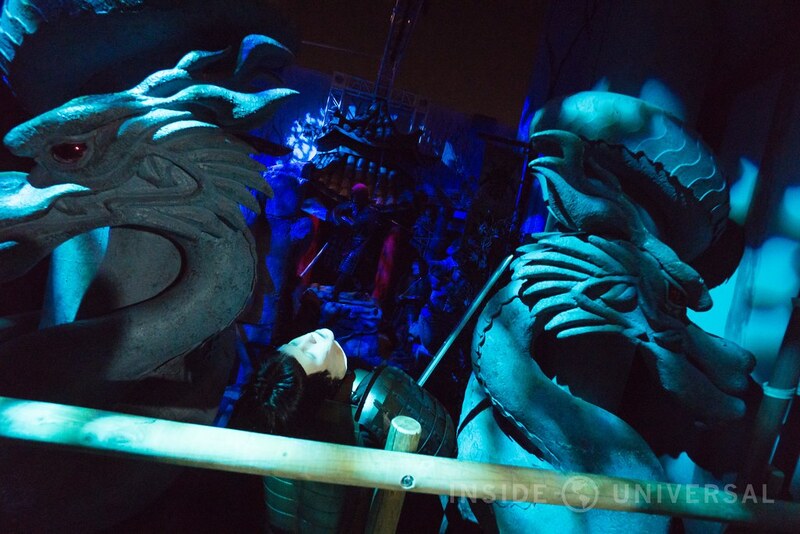 By far, Knott’s Scary Farm features the most innovative and creative Halloween experiences you could ever imagine. 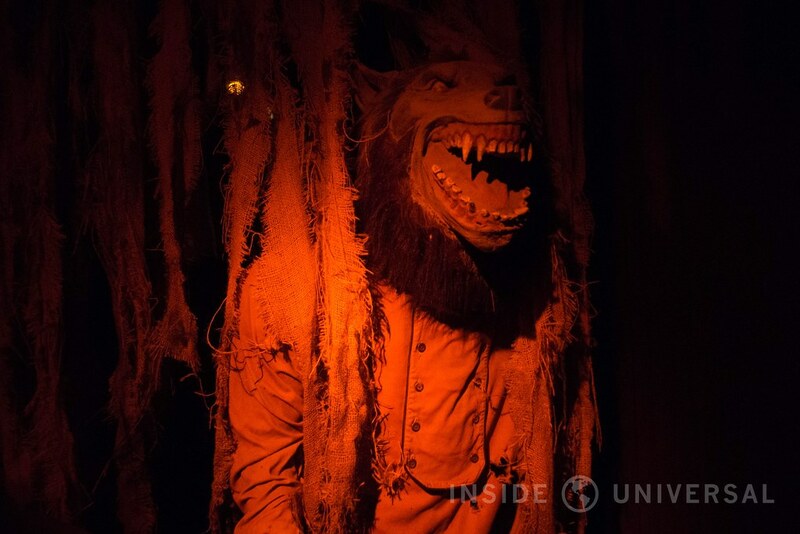 While the quality admittedly differs between maze to maze and the event has a tendency to reuse experiences from the past, Knott’s Scary Farm has a fascinating and organic art-house feel that should captivate any Horror Nights fans who are looking for a different experience. 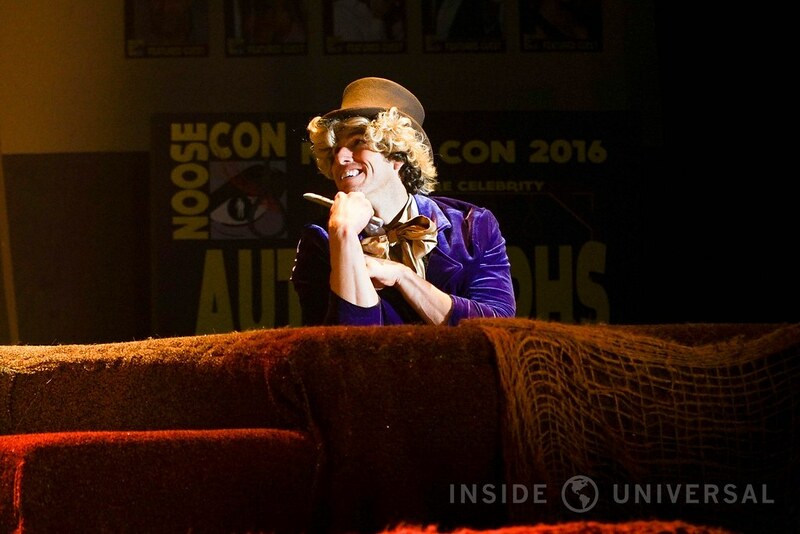 You won’t be finding acrobatics at Halloween Horror Nights, nor will you find a maze lineup as large and diverse as Knott’s Scary Farm. 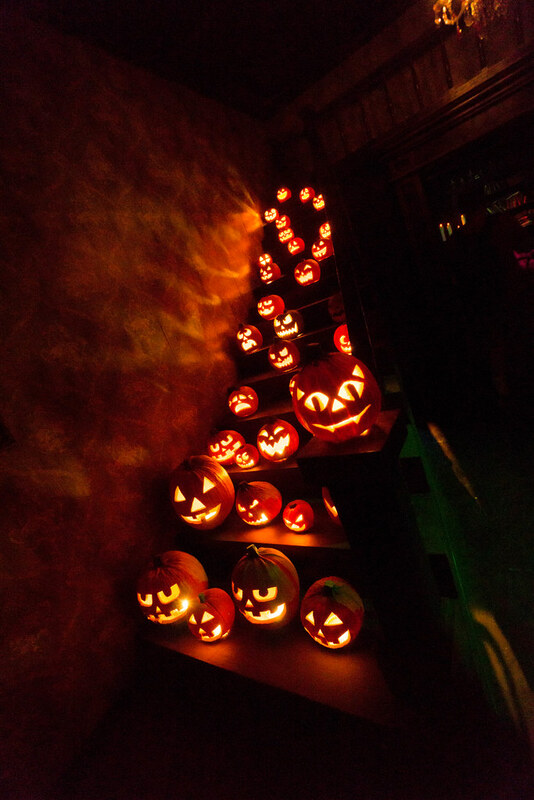 We encourage you to give Knott’s a try to experience a different take on what an annual Halloween event can be.